Since 2007, Chinese pig farming industry has entered into the large-scale accelerated development stage. The pig farms with certain scale generally adopt early weaning technology in order to improve pig-raising efficiency. Therefore, according to the digestive characteristics of weaned piglets, the feed specifically for piglets before and after weaning has been promoted rapidly. A group of professional piglet feed enterprises seize this market opportunity to grow up quickly. Different from the conventional feed varieties which have meager profit, the piglet feed is made of high-quality raw materials, has high formula level and higher threshold for processing techniques, making piglet feed enterprises enjoy generally higher profit level than common feed enterprises. However, as the piglet feed raw material costs, production, distribution and marketing costs continue to rise, the piglet feed market competition becomes increasingly fierce in China. In light of this situation, it is very important to fully understand and master the market operation situation of the industry. For example, which areas in China have higher piglet feed penetration rate? Which areas have the potential of high-speed development? What about piglet feed industry competition trend and pattern? 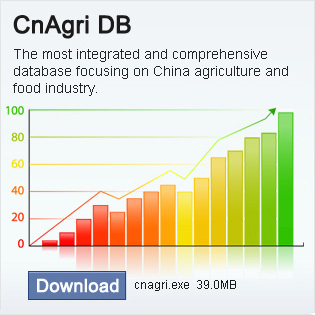 What is the trend of the commercial capacity of the piglet feed market in China? How long the rapid development of China's piglet feed market will last? How the feed enterprises make the right growth strategy in order to gain the leading advantage in the piglet feed market in China? This report will make a detailed analysis of the above problems, explains the status quo of the 2011 China's piglet feed industry, and conducts in-depth study of development environment, corporate layout and scale, the sales mode of the industry's major enterprises of Chinese piglet feed industry, and conducts detailed and objective analysis on the development trend of piglet feed industry, with a view to making scientific judgment on the investment value of China’s animal biological product industry.